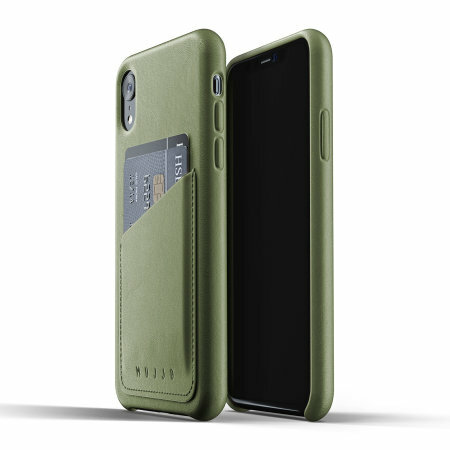 Designed for the iPhone XR, this olive genuine leather case from Mujjo provides a perfect fit and durable protection against scratches, knocks and drops with the added convenience of a credit card-sized slot. If you plan to be out and about, if you're commuting but still need access to your credit or debit card, license or identification, and you want to travel light - look no further than the this case with its exterior card slot. So leave the regular wallet at home if possible - this case has it covered.